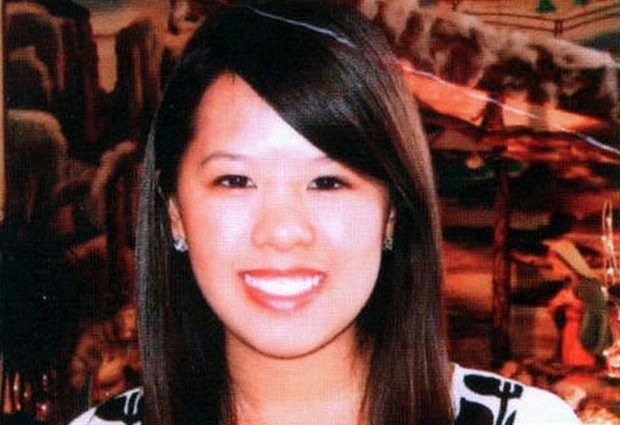 This 2010 photo provided by tcu360.com, the yearbook of Texas Christian University, shows Nina Pham, 26, who became the first person to contract the disease within the United States. DALLAS (AP) — A Dallas nurse who caught Ebola while treating a Liberian patient who died of the disease has received a plasma transfusion donated by a doctor who beat the virus. Ebola has killed more than 4,000 people in an outbreak the World Health Organization has called "the most severe, acute health emergency seen in modern times." Federal health officials say they are ramping up training for medical workers who deal with the infected. Nurse Nina Pham was among about 70 staff members at Texas Health Presbyterian Hospital who cared for Thomas Eric Duncan, according to medical records. They drew his blood, put tubes down his throat and wiped up his diarrhea. They analyzed his urine and wiped saliva from his lips, even after he had lost consciousness. The 26-year-old nurse was in his room often, from the day he was placed in intensive care until the day before he died. Pham and other health care workers wore protective gear, including gowns, gloves, masks and face shields — and sometimes full-body suits — when caring for Duncan, but Pham became the first person to contract the disease within the United States. Duncan died on Wednesday. On Monday night, members of the church that Pham's family attends held a special Mass for her in Fort Worth. Rev. Jim Khoi, of the Our Lady of Fatima Church, said Pham's mother told him the nurse had received a transfusion that could save her life. "Her mom says that she got the blood from the gentleman, a very good guy. I don't know his name but he's very devoted and a very good guy from somewhere," Khoi said. Jeremy Blume, a spokesman for the nonprofit medical mission group Samaritan's Purse, confirmed that the plasma donation came from Kent Brantly, the first American to return to the U.S. from Liberia to be treated for Ebola. Brantly received an experimental treatment and fought off the virus, and has donated blood for transfusions for three others, including Pham. "He's a doctor. That's what he's there to do. That's his heart," Blume said. Brantly said in a recent speech that he also offered his blood for Duncan, but that their blood types didn't match. Khoi said Pham's mother assured him the nurse was comfortable and "doing well," and that the two women had been able to talk via Skype. Pham had been monitoring her own temperature and went to the hospital Friday night with a low fever. She was in isolation and in stable condition, health officials said. Since she tested positive for the disease, public-health authorities have intensified their monitoring of other hospital workers who cared for Duncan. Centers for Disease Control and Prevention Director Tom Frieden said he would not be surprised if more fall ill because Ebola patients become more contagious as the disease progresses. Pham's name appears frequently throughout the hundreds of pages of medical records provided to The Associated Press by Duncan's family. They show she was in his room Oct. 7, the day before he died. Her notes describe nurses going in and out of Duncan's room wearing protective gear to treat him and to mop the floor with bleach. She also notes how she and other nurses ensured Duncan's "privacy and comfort," and provided "emotional support." Frieden has said a breach of protocol led to the nurse's infection, but officials are not sure what went wrong. Pham has not been able to point to any specific breach. The CDC is monitoring all hospital workers who treated Duncan and planned to "double down" on training and outreach on how to safely treat Ebola patients, Frieden said. He could not provide a number of health care workers under surveillance. Health officials have relied on a "self-monitoring" system when it comes to U.S. health care workers who care for isolated Ebola patients. They expect workers to report any potential exposures to the virus and watch themselves for symptoms. Besides the workers, health officials continue to track 48 people who were in contact with Duncan before he was admitted to the hospital and placed in isolation. They are monitoring one person the nurse was in contact with while she was in an infectious state. None has exhibited symptoms, Frieden said. Among the things the CDC will investigate is how the workers took off protective gear, because removing it incorrectly can lead to contamination. Investigators will also look at dialysis and intubation — the insertion of a breathing tube in a patient's airway. Both procedures have the potential to spread the virus. Officials said there was a dog in the nurse's apartment that has been removed to an undisclosed location for monitoring and care. They do not believe the pet shows any signs of Ebola. A dog belonging to an infected Spanish nurse was euthanized, drawing thousands of complaints. Ebola has killed more than 4,000 people, mostly in the West African countries of Liberia, Sierra Leone and Guinea, according to WHO figures published last week. Schmall reported from Fort Worth, Texas. Associated Press writers Mike Stobbe in New York, Martha Mendoza and Maud Beelman in Dallas and Tammy Webber in Chicago also contributed to this report.